作者: The AsiaN Editor on 10 October , 2014. This IDT approach to defense has its basis in a radically new approach – reducing individual and national stress. Its methods have been proven and adopted as part of the training of America’s future commanders at Norwich University, and has been field-tested by other militaries. It is validated by 23 peer-reviewed studies carried out in both developed and developing nations. IDT is totally unlike any other defense technology because it goes directly to the root cause of violence – the stress in the individual and collective consciousness. High levels of collective societal stress are the underlying cause of all war, violence, crime and terrorism. When the IDT methodology is applied stress levels throughout the population are reduced. In an environment of lowered stress even staunch adversaries find ways to work together, cooperate and overcome long-standing differences. IDT – Using the Transcendental Meditation® and advanced TM-Sidhi program to create a Prevention Wing of the Military. 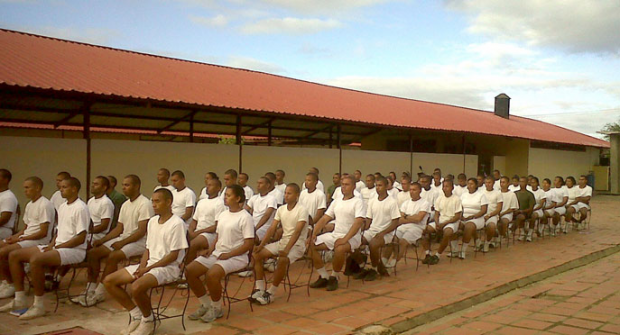 The IDT soldier’s daily routine includes the practice of the Transcendental Meditation technique and its advanced TM-Sidhi program. As a societal coherence-creating military unit, they practice these technologies of consciousness twice a day, seven days a week, to create an invincible level of orderliness for their nation. This invincible orderliness prevents the outburst of violence and other forms of social disorderliness – crime, terrorism, insurgency, and war. This is the professional career of members of the IDT Prevention Wing of the Military. Such coherence-creating groups have achieved positive benefits to society, shown statistically, in even just 48 hours. The IDT approach has been used during wartime, resulting in reduction of fighting and in number of deaths and casualties, and in progress toward resolving the conflict peacefully. Societies applying IDT perform extremely well in a very short time. This is what decreased the intensity of war in Lebanon in 1983 in a dramatic way in 48 hours, to name only one of the successful experiments. (See a summary of the Israel study published in the Journal of Conflict Resolution and summaries of follow-up studies in the Journal of Social Behavior and Personality and the Journal of Scientific Exploration). In 1992, the Mozambique military carefully analyzed the IDT research and decided to apply it. As predicted, violence disappeared by 1993 and Mozambique became more self-sufficient. The economic growth reached 19%. Once the poorest world country in 1992, by 2000, it had moved up to be the world’s fastest-growing economy. Former Mozambique President Joaquim Alberto Chissano, who learned Transcendental Meditation himself, introduced it to his cabinet and then the armed forces. 19 years of civil war and drought ended and President Chissano is the first to give credit to IDT for this effect. Mozambique continues to be a shining star for Africa and a model for development. President Chissano was awarded the inaugural Ibrahim Prize in recognition of the unprecedented positivity that manifested throughout Mozambique under his wise guidance. Using violence to quell violence ultimately just ratchets up the spiral of violence. Chinese Foreign Minister Wang Yi is wise to voice an end to repeating the same old cycle of violence. He now has the chance to achieve his goals, but only through a truly innovative approach: Chinese military implementation of IDT to create real lasting peace and prosperity. When the Chinese military adopts IDT it will become even more powerful and respected worldwide because it will introduce to humanity a humane and non-violent means to create international law and order, not through fear-based methods, but through peaceful means. IDT defense technology supersedes all other known defense technologies (which are based on electronic, chemical, and/or nuclear forces). These fear-based modalities are ultimately self-destructive for any nation and must be replaced with IDT, the only known and proven constructive approach. IDT creates genuine and lasting reconciliation and friendship in the place of hatred and conflict. The military that deploys this powerful human-resource-based technology disallows negative trends and prevents enemies from arising, and as a result, it has no enemies. A lasting global peace is easily obtainable if Chinese Foreign Minister Wang Yi establishes Prevention Wings of the Chinese Military. They will ease high tensions, reverse centuries of mistrust and hatred and permanently prevent future unrest. Dr. David Leffler is the author of “A New Role for the Military: Preventing Enemies from Arising – Reviving an Ancient Approach to Peace.” He was a member of the US Air Force for nearly nine years. Dr. Leffler served as an Associate of the Proteus Management Group at the Center for Strategic Leadership, US Army War College. He now serves as the Executive Director at the Center for Advanced Military Science (CAMS) in Fairfield, Iowa and teaches IDT. He is on Twitter and Facebook.